The Shema is the central, most instructive and most important declaration in all of Judaism and biblical religion. It is the first thing we say upon awakening, the last thing we say before sleep and, if possible, our final words and thought before we return our bodies to the earth. The Lord is our God; the Lord is one: The Lord, who is now our God and not the God of the other nations - He will be [declared] in the future [to be] "the one God," as it is said: "For then I will convert the peoples to a pure language that all of them call in the name of the Lord" (Zephaniah 3:9), and it is [also] said: "On that day will the Lord be one and His name one" (Zechariah 14:9). Hear, listen! Pay attention! This matters! The Shema is the soulful cry for the Jewish people to hear and receive the Truth as members of the eternal Covenant. Hear this you people of HaShem! And so we can say: Listen, this is for your ears! Receive this information and act upon it! ...both the Shema and the expression, "Blessed is the name of His glorious kingdom for all eternity," contain six words in Hebrew. Thus, Jacob and his sons together recited twelve words [Genesis 49:1], corresponding exactly to the number of Jacob's sons and to the number of the future tribes of Israel. Together, Shema and "Blessed is the name" are comprised of forty-nine letters, corresponding exactly to the number of letters in the names of the twelve tribes! From this foundational truth the Jewish people bless the world. Through this authority and lineage eventually Messiah will come and then there will be peace throughout the planet (Isaiah 11). 13. to keep the commandments of the Lord and His statutes, which I command you this day, for your good. The heart (faith: emuna) and intention (kavana) come before the observance and the knowledge! LOVE HaShem first and foremost! Not everyone is going to become a tzaddik (a person of deep and abiding righteousness) however if we honestly love Him we will be drawn to Torah observance and study. Each in his or her own way. THEN He will accept our sacrifices and the mitzvot we perform because of the sincerity behind them. Observance without love and intention is not sufficient no matter what any rabbis or any one else may tell you! Jewish history makes this abundantly clear: "Circumcise therefore the foreskin of your heart, and be no more stiff necked" (Deuteronomy 10:16). HaShem is One. This sounds so simple doesn't it? But it is the most profound truth of all! Everything is One in HaShem and so we are safe within His Hands. For this reason the rabbis teach us to respond Baruch HaShem always! Praise God for the seemingly good and for the seemingly bad that we encounter in life. He cares for us and has our best interests at heart always! If HaShem is with us what have we to fear? Do your best always, and then trust HaShem for the outcome because He is One. Just have emuna! Have faith in the One God revealed through Torah, our history, and through our sages! If we can wrap our minds around this central truth of His Oneness it will change everything! It will free us! We will channel His blessings to the world. This is what Torah says we are to be! Blessings! And THIS will bring Messiah! 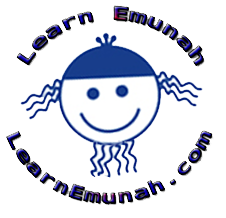 This level of emuna is the eternal calling of the Jewish people! Through us HaShem is blessing the world entire. Nothing exists outside of His blessings! Just recognize and receive it! 6:5 And thou shalt love the LORD thy God with all thine heart, and with all thy soul, and with all thy might. BECAUSE HaShem is echad (One), the Shema calls us to be a blessing in the Sacred Name of the One Eternal Adon Olam (the Master of the Universe)! Because He is One, we partake in the blessings of His oneness. When we bless others we bless ourselves, which blesses others and so on! Blessings upon blessings multiplied throughout time and beyond! We are to recognize His oneness in all areas of life and to honor all life as sacred because life comes from HaShem. People all too easily get wrapped in traditions, in personal practice and self importance. What is all boils down to however is the Shema. God is One. May we all become one in Him as directed in Torah.